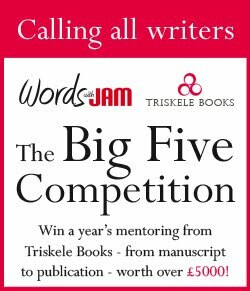 Exciting Easter treat from Triskele Books! Just in time for the long weekend, a selection box filled with delicious tastes. Seven of our favourite novels, all wrapped up in one box, wickedly indulgent and calorie free. We’ll take you to another place. And tell you a story. Behind Closed Doors by JJ Marsh. Delirium: The Rimbaud Delusion by Barbara Scott-Emmett. The Rise of Zenobia by Jane Dixon-Smith. Ghost Town by Catriona Troth. 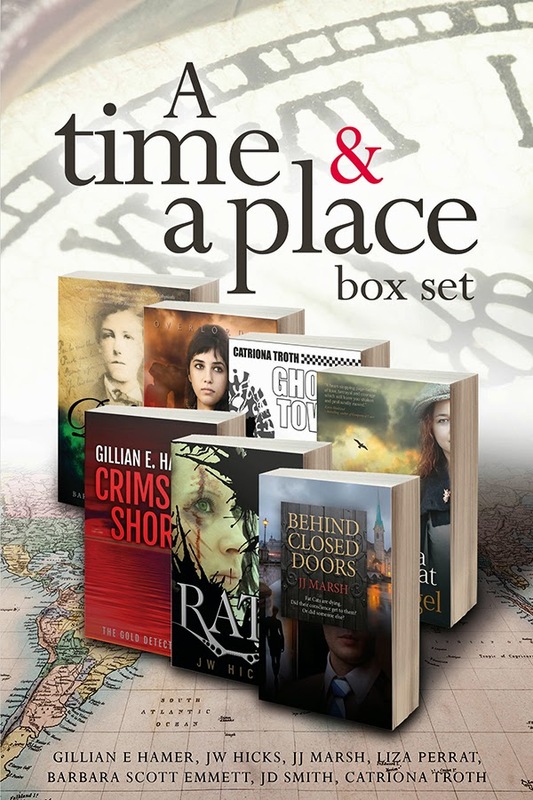 Available for PRE-ORDER now exclusively from Amazon for a limited period, A Time & A Place is officially released on Good Friday 3rd April 2015. Don't miss this box of delights at a fantastic price. Who knows what you'll discover? Reviewer: JW Hicks author of Rats. What we thought: This YA novel, written by Welsh author Catherine Fisher, is totally gripping from the get-go. It’s Gothic Fantasy, what’s not to like? Incarceron: an unimaginably massive prison; a world-scape filled with mountains, rivers, cities and labyrinthine dungeons. Sealed for centuries, it is a storehouse for malcontents, criminals and the indigent, created as a computer-run safe haven. But Incarceron becomes sentient and turns the safe haven into a living hell. Generations live and die unaware that they are captives forever barred from reaching the freedom of Outside. What they don’t know is that the ‘free’ world of Outside is as much a prison as Incarceron. Outsiders are forced to live in a manufactured, medieval world, where progress is prohibited. Most live a life of serfdom. In this fiercely feudal society, they must toil with basic hand tools, barely subsisting, while their ‘betters’ live the faux life of lordlings – lordlings with access to futuristic technology. Finn, cell-born deep within the dungeons of Incarceron, is haunted by visions of an earlier life. He refuses to believe he was born in the prison and has always lived there. Convinced he was born Outside, he makes plans to escape with his oath-brother Keiro. Claudia, daughter of the Warden of Incarceron, lives Outside, trapped in the artificial world of the past, in dread of a forced marriage to a man she despises. She, too, seeks to escape a life of lies, and is helped by her tutor, Jared. When Finn and Claudia find identical crystal keys, through which they can communicate, their plans look set to be realised. But plans do not always work smoothly. Plans so often go awry, especially under the all-seeing Eyes of Incarceron. The novel comes complete with a remarkable set of characters, not least the ruthlessly cruel gaoler, Incarceron itself – the AI prison-mind that seeks to see the stars. All of the characters, both evil and good, are many faceted and make compelling reading. Incarceron is guaranteed to pique, then to sustain your interest until the last page is turned. Once that last page is read, you will feel a sense of loss, a loss eased by the knowledge that there is a sequel. The sequel is Sapphique. Avoid if you don’t like: Time portals, black-hearted villains and hidden love. How do your ideas come? In a flash, or are they slow lurkers, only gradually rising to the surface? It's hard to say. Certain ideas can come suddenly- like a miniaturized Prison worn on a watchchain- and then the rest of the story and characters rise slowly to the surface as you write. A lot of things change and emerge; the final book is usually very different from how I imagined it would be. Your characters are so real, so vivid. Do they arrive fully formed or are they shadowy figures that grow as you write? The characters definitely develop over time. Sometimes a relatively minor character grows to almost take over the book,because I get very interested in them and their problem. Such as Jared, for example, in Incarceron. The characters in your novels linger in my mind, particularly the Warden, Keiro and the intriguing Oberon Venn: all of them so fascinatingly dark. Does giving life to your darker characters please you more than bringing heroes to life? Have you a favourite character? I like characters that are ambiguous and flawed, and maybe not particularly likeable, who are dark and yet may be the ones who save the day in the end. Heroes are a bit one-dimensional; all my characters tend to have problems. The Warden was a particularly fascinating character to write. Keiro is fun, because he is so unabashed in his egoism. Venn... well, I haven't finished with Venn yet. Are your stories tightly structured, or loosely formed, developing as the the work progresses? I would really like to work in a tightly structured, organized way, with a carefully detailed plan all ready for me to follow. As it is I never know what is going to happen next, and the story just develops as it wants to. It's a very difficult and frustrating way of writing, but I would find it hard to change now. Managing two or three storylines at once makes it even worse. But it's addictive. How many drafts does it take to satisfy you that the book is really finished? Time is always an issue, so I only get to do two whole book edits. Chapters though get endlessly revised as I write, especially the early ones, which often change the most during the course of a book. How important is an editor? Vital. Self-indulgence is the writers worst enemy; an editor is a cool eye over what maybe the writer can't even see any more. How important is a title? Again, very important; it has to be memorable and evocative. The book cover image has great power too over the buyer. I always think very hard about titles- sometimes they are obvious and and yet other books can be a real struggle to name. Incarceron was a name that I worked out early and liked. Which books have influenced you? Alan Garner's novels, especially The Owl Service and Red Shift; Stevenson's adventure stories; Alice; Tolkien; a lot of sf from bad to brilliant. Robert Holdstock's work too, especially Mythago Wood. What makes you write and keeps you writing? Deadlines, of course. Also, the fascination of continuing the story to its end and finding out what happens. Creating scenes between characters to free up things you didn't even know they would say or do. And indulging in delicious descriptions of beautiful and deadly otherworlds. I'm working on Book 4 of the Chronoptika set, which will be the final volume. it will be called The Speed of Darkness, and like all final books in a set, it's the hardest. Firstly, hand-selling. We all sell print books via local bookshops and cafés, at launch parties, to bookclubs, to language schools, festivals, workhsops, not to mention online. Many book reviewers and bloggers prefer a paper copy to an eBook. If you offer a Goodreads giveaway, they only accept print. It gains you a lot of attention and you can choose where you’re prepared to send it. We always add a Triskele bookmark in ours. Bookcrossing and Books on the Underground/Books on the Subway ( @BooksSubway ) are a great way to send your physical creation on an adventure. Paperbacks are a whole lot easier if people want a signed copy. Signing e-readers is possible, but not pretty. Many countries are not yet whole-hearted adopters of the e-reader. Print books, unlike eBooks, are not considered a 'service' by EU VAT. All of us at Triskele opted for paperbacks as well as eBooks, and chose the POD model (Print-On-Demand). There are a variety of different companies who provide this service (eg; Amazon’s CreateSpace, Lulu and Lightning Source/Ingram Spark). We all opted for cream paper over white as a better look, plus a matt cover. These proved to be excellent decisions. The tactile nature of our covers has attracted as much praise as the content. Jane Dixon Smith: As a reader printed books are one of the most tactile and timeless possessions a person will ever have. Since I was a small child all I ever wanted was a library of my own with a little ladder to reach the higher shelves. As a passionate reader of ebooks, I still want that library and that ladder. As an author, printed books allow you to gift a real object, to sign a physical item, and to ensure that your work lives on in the libraries of readers around the world. Liza Perrat: Print books provide a more sensory reading experience– the touch, smell and sight of a print book is far more pleasant than a cold, robotic e-book. I love looking at my bookshelves from time to time, running a hand over the spines and remembering this book, and that book, if I enjoyed it, or gave up at page 4. I also often recall what I was doing in my life, when I read a certain book. This I can't do with an e-book. And lastly, there's the bath, where I can't read my e-books. 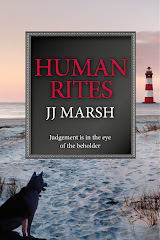 JJ Marsh: Wherever I’ve lived, it isn’t home unless I have my books. I’ve dragged my library all the way round the world. I recently found my childhood stash of Ladybird books in the attic, provoking a rush of emotion and memory like no other. Bookshelves are the first thing I check out when I go to someone’s home and same with bookshops when I visit a new city. I like my e-reader but I love my paperbacks. They’re the most beautiful thing in my house. 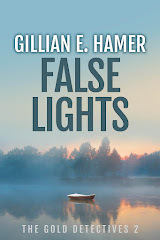 Gillian Hamer: Because 'real' books are where my love affair with writing began. Our local village library was a constant source of firstly Enid Blyton, then later, Agatha Christie books. Plus raiding my gran's sideboard for second hand Catherine Cookson paperbacks - and the occasional racy Jackie Collins if I got chance! Print books hold memories and emotion that ebooks lack and I remember my first real buzz as a writer was receiving my first print copy of The Charter. I think there's a place for all formats but I hope that print never dies. I’ve always imagined I’d be one of those old ladies who would be found in a house crammed with books, with just a narrow walkway left between the teetering stacks. I’m well on the way to achieving that goal. My shelves are full and ever-growing piles of books surround my bed and my workspace. I love my ereader – if nothing else it may postpone the day when I am finally buried alive by my love of reading. But there is something about the tactile memory of print. If I want to reread a book, it is because I stumble upon it among the stacks and it says hello, like an old friend. The books that have survived from my teens are tatty paperbacks whose bindings are falling apart because they have been read so many times, but nothing would induce me to throw them out. When I brought out my own books, I couldn’t contemplate not having a print edition. The wonderful art work on the covers, the choice of typeface – they are all part of the personalities of the books that I want to share with readers. And anyway, without that tangible evidence on my shelves, I am not sure I’d believe I’d really written them. The bookshelves pictured in this post belong to the individual members of Triskele Books. But which one is whose? If you guess all correctly, you get to choose a print copy of a Triskele Book. 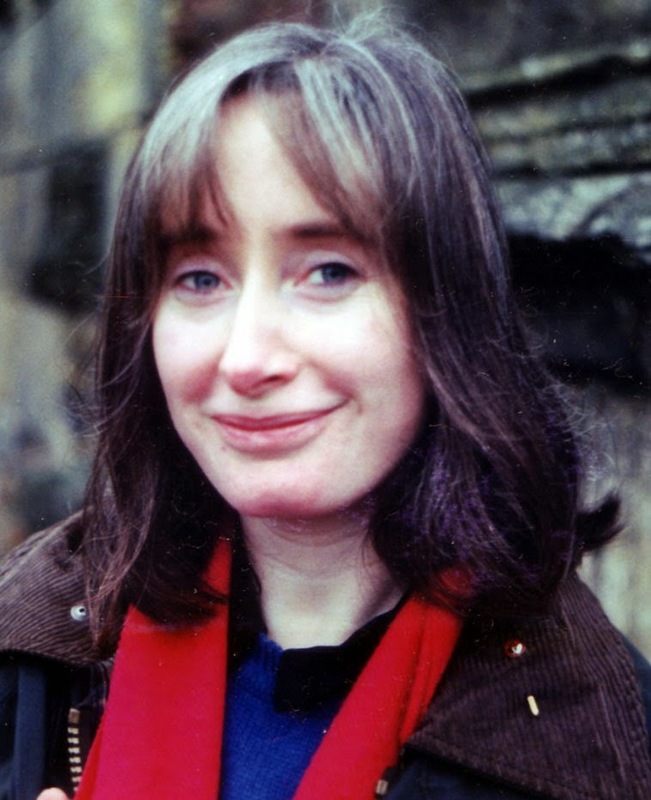 Karen MacLeod is a Scottish writer of Highland extraction. 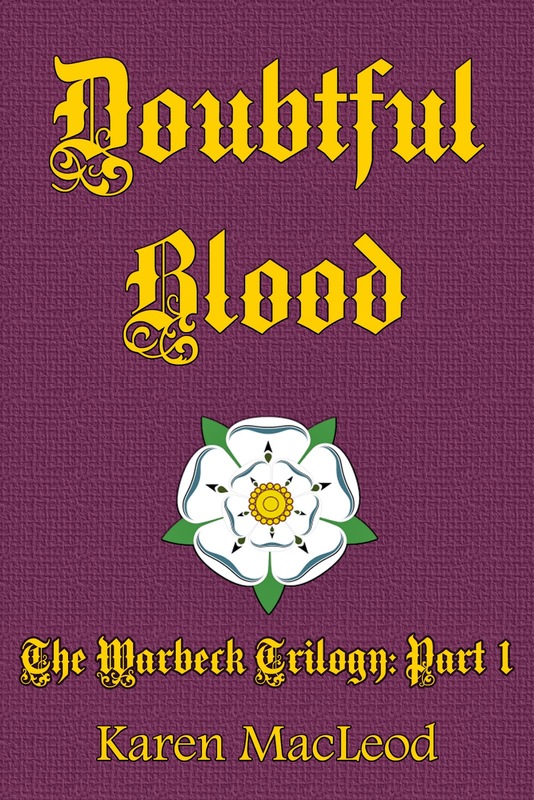 Her novels Doubtful Blood, Counterfeit and Thorn Maker, which comprise The Warbeck Trilogy, are set in the troubled 16th century, spanning three Tudor reigns. 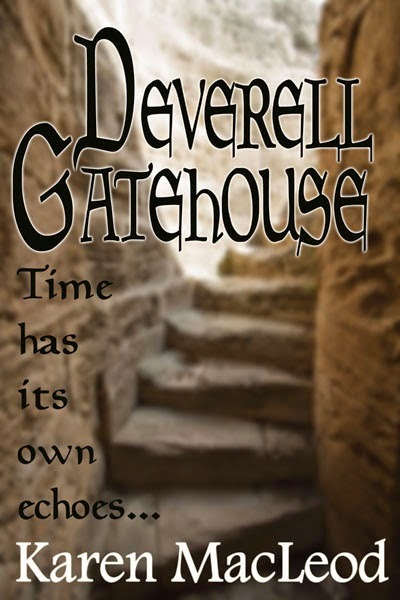 Her latest work, Deverell Gatehouse is a ghost story, time shift and romance rolled into one. 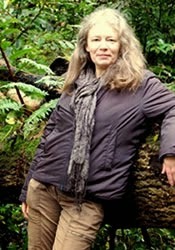 The book has links to The Warbeck Trilogy as two of the Trilogy characters appear in its time shift sections and the history which its 21st century heroine, Imogen Webb, investigates is essentially a sequel to the Trilogy's action. Here Karen talks about time and place in Deverell Gatehouse. How did Deverell Gatehouse come about? 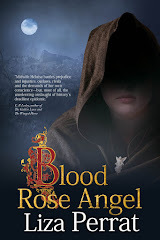 I began writing it after a holiday in a medieval gatehouse in Dorset in the south west of England. I stayed there with my sister and two friends, the three people to whom I dedicated the novel. It was a marvellous place to stay in and nothing so dramatic happened as happens in my novel, certainly no time shifting, but it was also very atmospheric and by the end of the week we were wondering whether we had overactive imaginations. All old properties creak in this night, but this was something else entirely. Sounds intriguing. Tell me more. Footsteps on the stairs. The sense of a presence in the ground floor room. Throughout the gatehouse it was unusually cold for June, even for a stone building. And there were unexplained sounds. We had known nothing before we went, but on doing some web research when we got back, we discovered that in the sixteenth century a Catholic priest had been imprisoned there prior to his execution. It fitted, not least with Dave having heard what he described as ‘monastic singing’ during the night. We subsequently found out that friends of ours had stayed there years before and their young son had seen a figure on the spiral staircase. Inspired, I transposed the gatehouse from Dorset to Hampshire and gave it a different name, a fictional sixteenth century family and (entirely different!) fictional twenty first century holiday makers and owners. I had slept in the attic, so I put the imprisoned priest there (Anna, in the room below, had heard heavy furniture dragged across the floor, definitely not by me). I’m not surprised you were inspired. How is it written? Deverell Gatehouse is the only book I have ever written with a first person narrator, but it felt the right way to approach it. The narrator is Imogen Webb, an accountant who reluctantly holidays in the gatehouse with her estranged husband and his family. Though she feels herself to be the ‘awkward-in-law’ in the present, Imogen is taken back in time and uncovers the story of the sixteenth century Deverells, who in 1582 were tragically divided by religion. She finds a poignant link in time to the life of their present day descendant, the bereaved Nicholas Deverell. Yes. 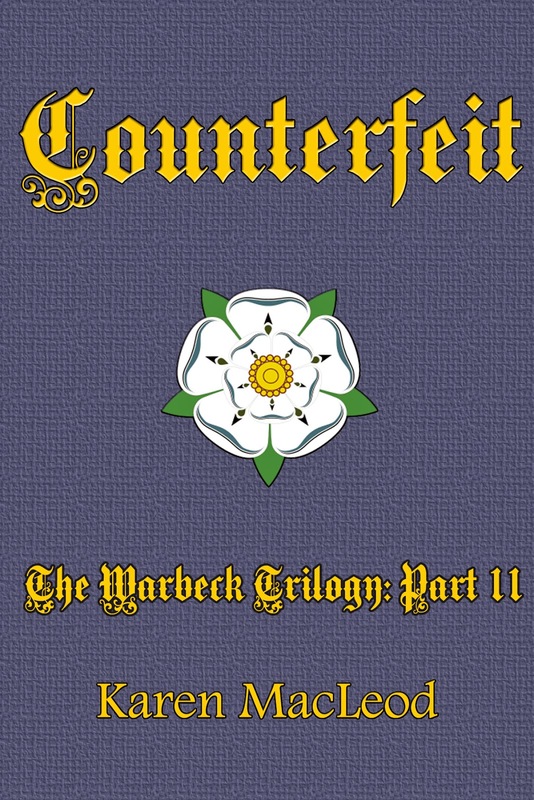 I welcomed the chance to return to the sixteenth century in writing; I had already self published my Warbeck Trilogy, the story of Perkin Warbeck’s grandson in a time of religious turmoil in England. 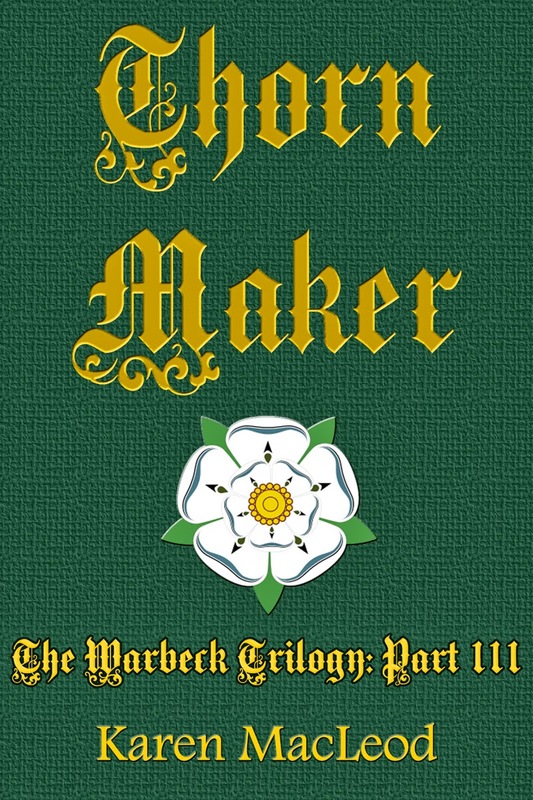 Anyone who reads the Warbeck Trilogy and Deverell Gatehouse will spot background and character crossovers, especially from the third book in the trilogy, Thorn Maker. So although Gatehouse is a ghost story with time shifts and romantic elements, a lighter read than the trilogy and perhaps for a broader market, it too deals with religious division, a subject as horribly relevant today as it’s ever been. 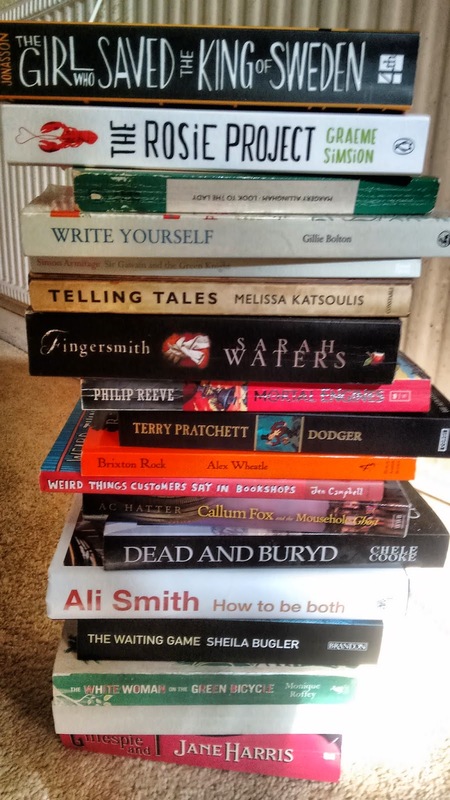 More generally, how long have you been writing and why Kindle? As long as I can remember, secretly when I was a child. I did try the conventional novel publishing route and got some encouraging rejection letters from publishers and agents, just enough to keep me going, but nothing came out of it. 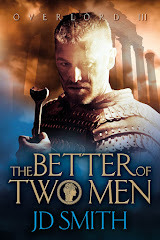 So when my old friend Barbara Scott Emmett suggested I try Amazon Kindle under the auspices of her indy Pentalpha Publishing, I decided to go for it. I’ve had more success than I ever imagined and it’s now over two years since I had a day without sales. Only that Deverell Gatehouse has my very favourite character in it, Nicholas’s dog, chocolate Labrador Madogany!